The Customize Windows > Computer and Internet > Hardware > What is Digital Paper? Digital paper is paper that has a printed with small dots in grid like fashion to capture to handwritten notes using a digital pen in digital form. Handwritten notes on digital paper can be stored in this way with a digital pen and transferred to a computer. Digital paper is not equivalent to a graphics Tablet – this is a common misconception. The grid system which most commonly used on commercial products, was developed by the Swedish company Anoto. 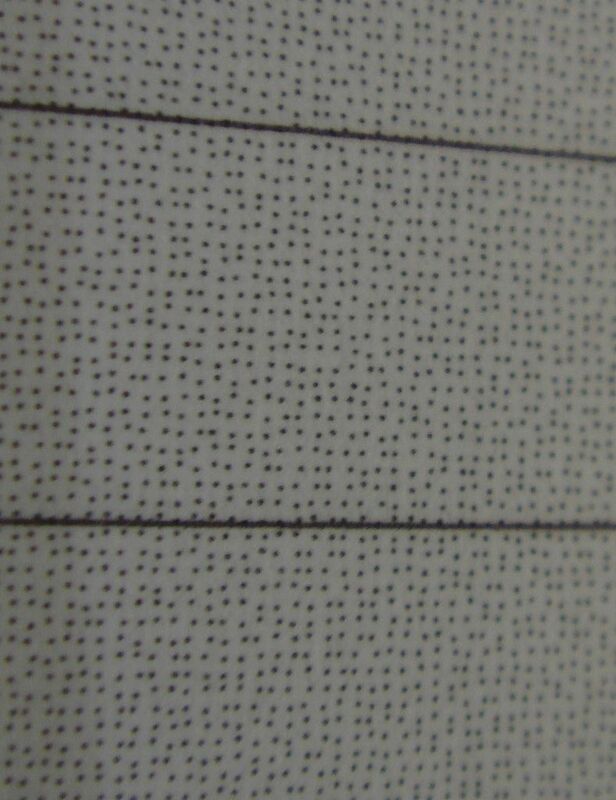 The digital paper is printed as a grid of large dots of 0.1 mm with a spacing of 0.3 mm. The location of each point varies slightly according to the particular system. An array of 6 by 6 points forms an unique coordinate in the system. All possible combinations of the points in the system result in a surface that is larger than Europe and Asia in real life. Anoto awards/issues licenses to companies that manufacture digital paper products. A digital grid can be printed on any standard paper. It is important to know that the printing process needs a minimum of 600 dpi carbonaceous toner. Printing with an ink jet printer is not possible, since the points detection by the pin might become impossible to detect. Other colors of ink, including non-carbon-based black, can be used to print information which will be visible to the user and invisible to the digital pen. The digital pen, on the other hand should be carbon-free. For this purpose there are special approved materials by Anoto. These carry the logo of Anoto. The infrared camera in the digital pen is based only on the point grid in the background of the page, where the infrared radiation is reflected. Forms Automation System or FAS was developed by Hewlett Packard and kind of based on the theory of digital paper. In September 2005, the development was taken over by the FAS Group. FAS enables companies to design digital form for processing the handwritten information. This system allows the design of digital forms using Adobe Acrobat Professional. The user should be able to make use totally free custom forms. This new toolbar in Acrobat is now is integrated, which allows the user to make a PDF in that way. Digital paper can be used in almost any environment. But the paper processing must be rightly done. This Article Has Been Shared 7804 Times! Articles Related to What is Digital Paper? Use Android Tablet as Graphics Tablet by simple methods.You need not even have to buy a stylus – we have full DIY method ! Draw as you love with Android Tablet. Title: What is Digital Paper? Cite this article as: Abhishek Ghosh, "What is Digital Paper?," in The Customize Windows, November 20, 2013, April 20, 2019, https://thecustomizewindows.com/2013/11/what-is-digital-paper/.